After the century in Solvang, Ben and I decided (or rather our legs decided) a day of recovery might not be a bad idea. 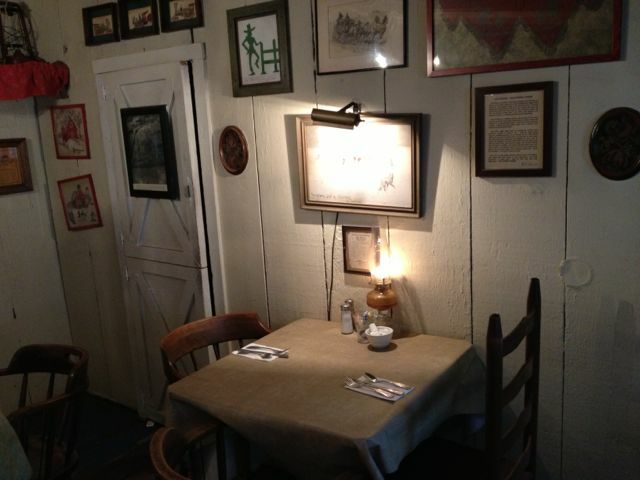 Among other things, this included a breakfast of trucker proportions at the amazing Cold Spring Tavern, an original stagecoach stop in the Mountains near Santa Barbara. 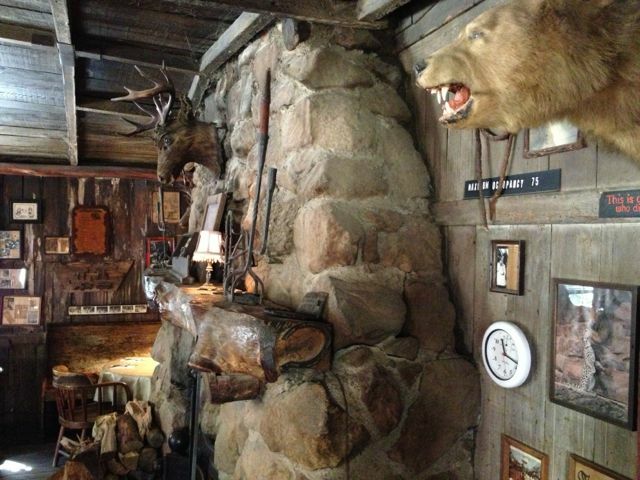 If the place wasn’t completely authentic, it would almost be ridiculous – like an over-the-top Disney version of itself. But I have to remind myself that things here don’t weather and decay into nothing the same way they do back home. 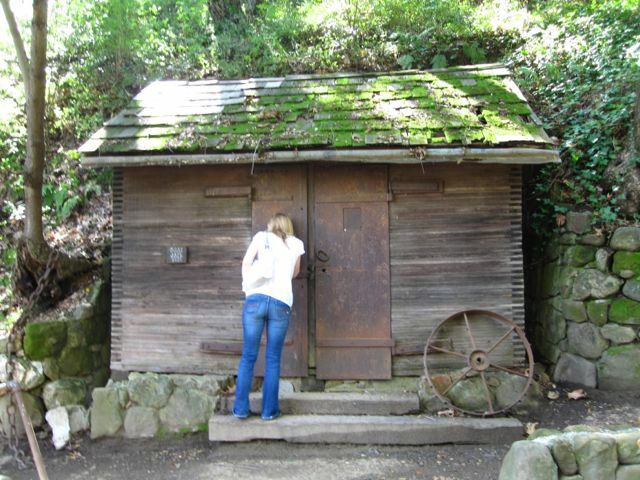 The place is almost exactly the way it was over a hundred years ago. 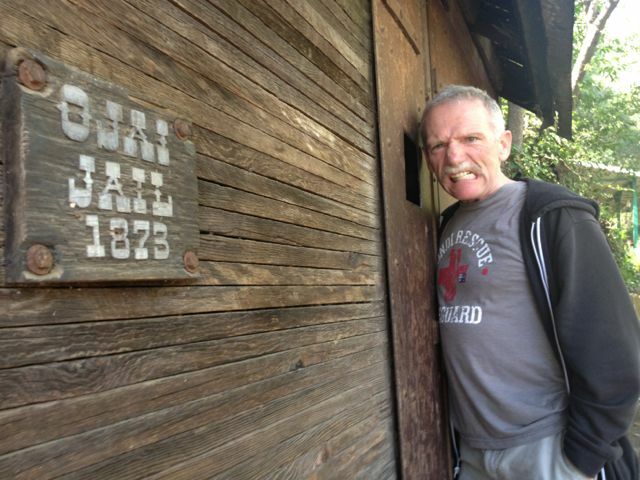 Badass Ben fit right in at the Ojai Jail. It will come as no surprise their specialty is meat. 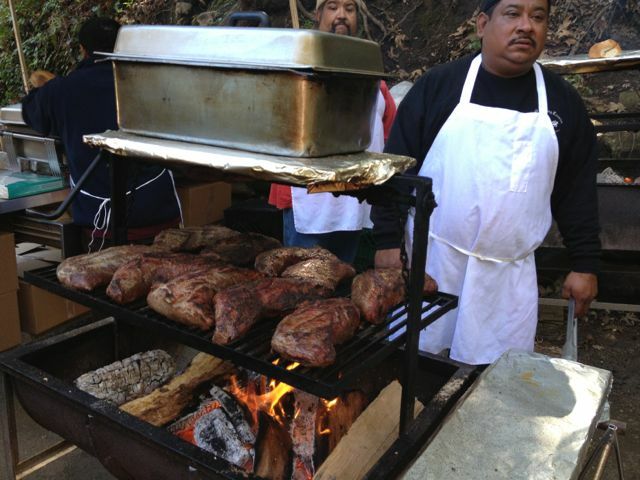 Lots and lots of meat, lovingly grilled over an open wood flame by enormous Mexicans. When I joked that we had probably made a mistake having eggs for breakfast, my comment was met with the grim nodding of Mexican heads. 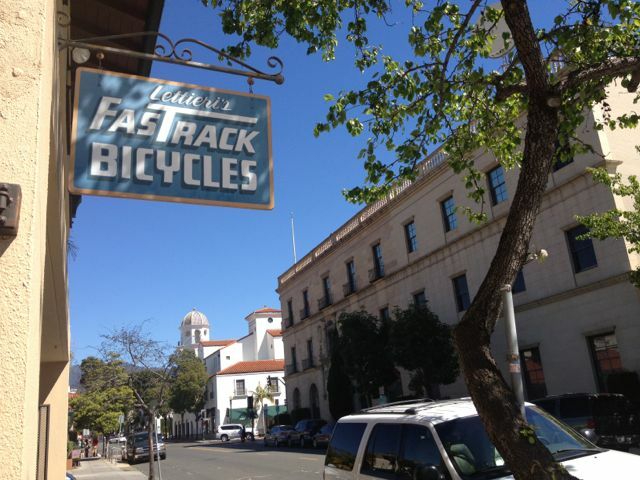 After breakfast we meandered lazily around the well-heeled city of Santa Barbara, stopping in for a brief visit at FasTrack Bicycles, who tried their best to sell us new bikes. They assured us this sort of thing happens all the time with people visiting from out of town. What they don’t seem to realize is how expensive coming home with a new bike from California can be when accompanied by a divorce. 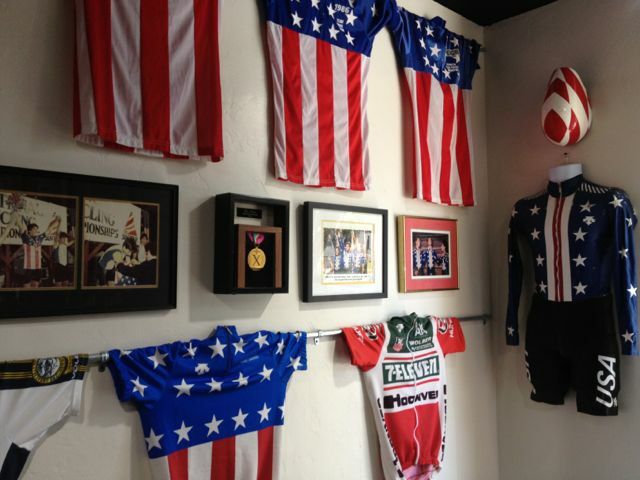 One thing I love about bike shops is the inevitable memorabilia displays. Most good bike shops are parts retail store, workshop, meeting place, and museum, all rolled into one. FasTrack was a quick stop on the way to our main destination, Handlebar Coffee – a place I had read about and wanted to visit. 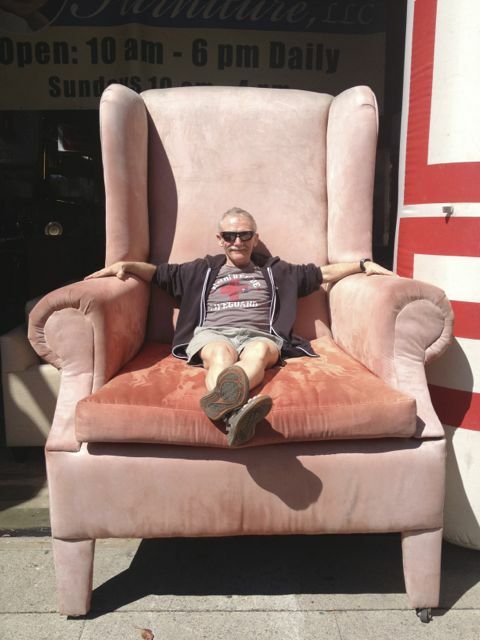 We were in a hurry to get there because of some inconsistencies in reports of their closing time, so we left, stopping just long enough to take funny pictures of ourselves in the enormous, faded pink velour armchair next door. 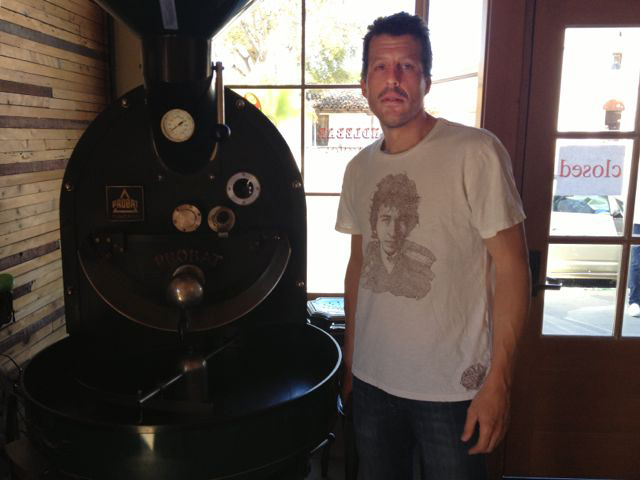 Handlebar Coffee is owned by former pro racers Aron Olson and Kim Anderson, who fell in love first with each other, then later Santa Barbara while riding in the 2008 Agmen Tour of California. 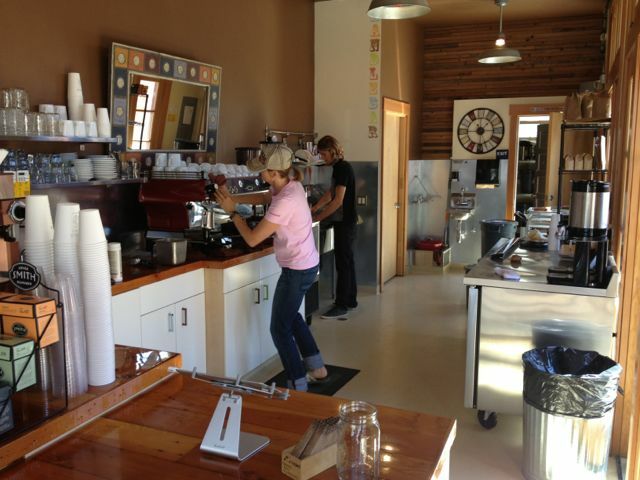 Having hung up the race wheels, the couple now share a passion for roasting and brewing perfect and sustainable coffee. Not surprisingly, when we arrived, the patio was populated by as many bikes as people. When we walked into the shop we were told they were closed – an enormous disappointment, since I had envisioned sitting across the table from Anderson (who rode competitively even in her forties) as she regaled me with tales of her ten-plus years as a professional cyclist, and her amazing palmares, including a first-place finish at the 2009 Route de France Féminine (the only women’s equivalent of the Tour de France). And riding with another hero, Evie Stevens. Instead, with Kim busy tidying behind the counter, I cornered Aaron as he swept the floor, awkwardly asking for a picture beside the enormous coffee roaster. As you can see, he was positively thrilled. He eventually warmed to our Winnipeg charms and soon he was happily chatting and insisting we have a coffee, as I kicked myself repeatedly for not coming earlier. And on a bike. After dragging Ben around for a bit of shopping (what are friends for), we loaded ourselves back into the car and headed South (I think) to Oxnard, where we would be staying for the rest of the week with a group of young, elite-level mtb riders who ride for Trek Canada, including fellow Winnipeg gal Karlee Gendron. 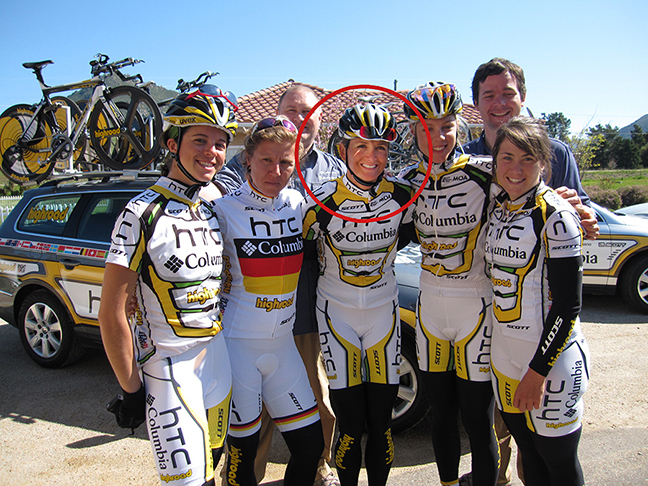 When we got there, they had just returned from a ride with Olympic XC star, Emily Batty. There had been a time I thought I might be coming here alone, and Karlee had had kindly suggested that if that was the case I was welcome to ride with them. Thank God that did not happen. For a day of rest, we accomplished a lot. The bikes were still back in their boxes, but tomorrow morning that would change as we set out on our own to discover what adventured the California roads had to offer. Loving these vacation posts, keep ’em coming! Living vicariously through you until we get this “spring” I keep hearing about. 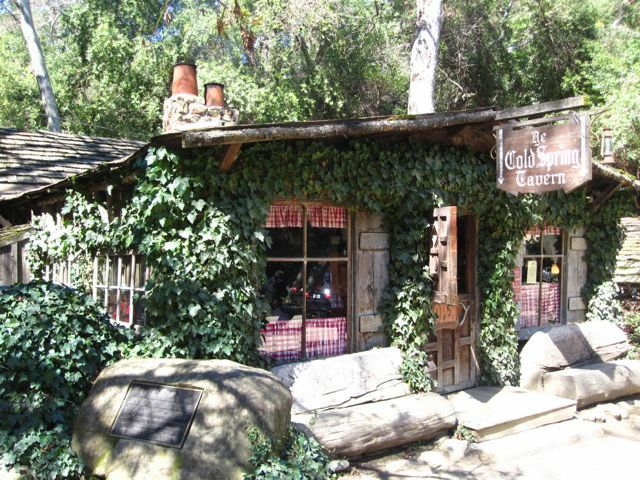 Funny we have been in SB many time and also knew about the couple and the coffee shop, but we never stopped. Another good tip that we will use when we are there. Can’t wait for the next post and the next “to do”. Live’n large! Enjoy your posts. Nice town Santa Barbara, if only i could afford to live there! Love your writing. 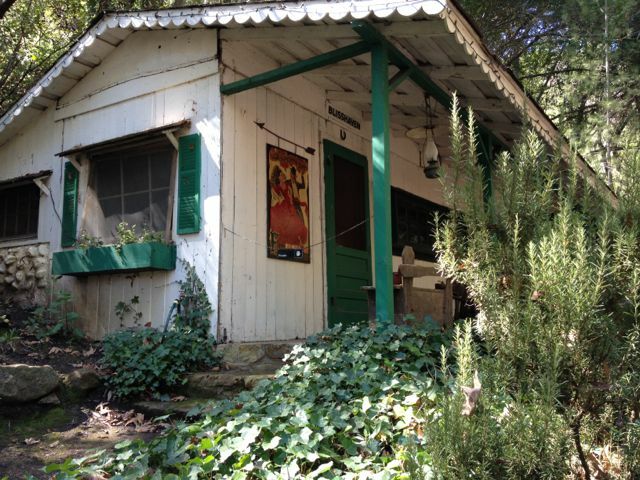 Quit your day job; travel and write. you and Ben the Rick Steeves of Winnipeg.